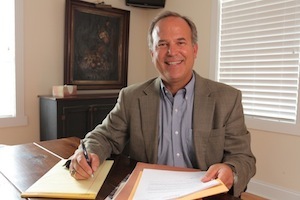 Attorney Mark C. Hartsoe is the founder and Managing Partner of Hartsoe Law Firm, P.C. With its main office located in the heart of Maryville (Across from the Maryville TARGET) at 908 West Lamar Alexander Parkway in the Hartsoe Law Building, the Hartsoe Law Firm represents clients in all types of accident and injury claims. Mr. Hartsoe is a 1985 graduate of the University of Tennessee College of Law. He started practicing law as a Federal environmental law prosecutor serving as a Special Assistant United States Attorney representing the Interior Department in Federal Courts throughout the Southeastern United States suing Coal companies who has illegally mined and failed to properly reclaim the damaged land and streams. As Mr. Hartsoe’s practice evolved, he found that he had a passion for representing folks who had been injured by other people and families that had lost loved ones as a result of the negligent actions of others. After practicing as a Senior Partner in a large Knoxville firm for ten years, Hartsoe formed the Hartsoe Law Firm. The initial Blount County office of the Hartsoe Law Firm was located in the family’s historic family farmhouse located in Walland along with a downtown Knoxville Office. Hartsoe and his family have a huge vegetable garden and orchard in Walland and have sold produce at the Maryville farmers Market in years past as well as donated bushels of apples to the Blount County Food Pantry. The Hartsoe family has lived in Blount County for many years and his two of his sons have graduated from Maryville High School before going on to college. His youngest son attends Maryville High School. Mr. Hartsoe’s wife is a Blount County school teacher whose family has farmed in Friendsville for over 160 years. Please see a listing of recent cases handled by Mark C. Hartsoe at www.knoxvilleinjury.com. Many of Mr. Hartsoe’s clients are referred to him from former clients who are pleased with the legal service provided by Mr. Hartsoe and are glad to recommend their friends, families and co-workers to Mr. Hartsoe to assist them with their legal needs. A significant number of Mr. Hartsoe’s cases are referred to him from out-of-town lawyers, lawyers who do not practice in the area of personal injury and by out-of-state lawyers who work with Mr. Hartsoe on a referral/co-counsel basis. Mr. Hartsoe would welcome the opportunity to work with you on a referral/co-counsel basis or to assist you, your family or friends with their legal needs. Please contact Maryville Personal Injury Attorney Mark C. Hartsoe at (865) 524-5657 . Please visit www.knoxvilleinjury.com for more information about the Hartsoe Law Firm, P.C.